If we are talking about your business or career, you could have chosen so many things to do for a living. You could have worked for many different companies. You could have worked for someone else instead of starting your own business. I ask again, why did you choose the path you are on? If you are a blogger or devote a lot of time (and probably money) to a hobby…why do you do it? Besides hoping to make money someday. That’s an end result that will maybe (hopefully) happen. But again, you could have picked so many other topics to write about or hobbies to pursue. So why do you do what you do? 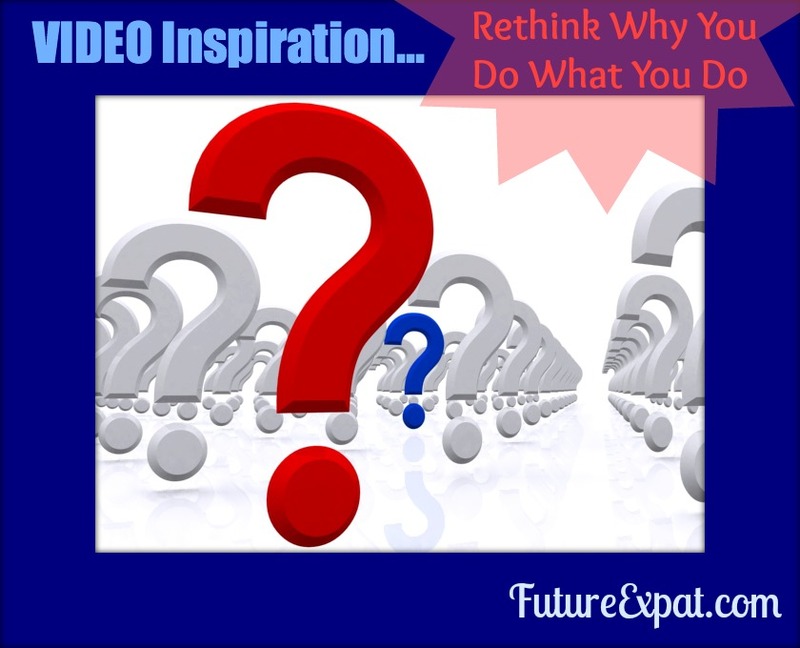 Discovering Simon Sinek’s Start with Why video a few years ago changed the way I think. You really need to watch it. Then really think about why you do what you do. Then you need to find a way to communicate that in your business, blog or the way you communicate with your boss. You’ll be amazed at the difference it will make in how you think about things and how others react to you. A couple of statements really had an impact on me. The goal is not just to sell to people who need what you have, the goal is to sell to people who believe what you believe. The goal is not just to hire people who need a job, it’s to hire people who believe what you believe. Martin Luther King gave the I Have a Dream speech, not the I Have a Plan speech. There are leaders and there are those who lead. We follow those who lead not because we have to, but because they inspire us. When I first watched this video, I dropped what I was doing and put together my I Believe page for my real estate site. So how does this translate for my real estate business? I believe that when you hire someone to help you with something…anything…a doctor, a plumber or a real estate agent…that you should be treated as well as that professional would treat their best friend. I want every buyer to find a place that let’s them live the life they imagine. A place that will also be a safe investment of their hard earned money. A place where they will be happy. I help people sell their home when they are ready turn the page and start a new chapter in their life. They may be counting the days until they can move on or they may leave their home with tears. Either way, I know that the process of selling can be overwhelming. I make sure my clients understand what needs to be done and the easiest way to get there. And I understand that they need every dollar they can get if they are going to live the life they want in the future. Yes, I sell homes. But I really just help people get where they need to go. I analyze the housing market data so I really understand the value of each home and supply and demand factors. I know what is selling and what isn’t. Then I share this information with my clients as we get started and weekly until their house is under contract. I use cutting edge technology including video, blogging and social media to get my clients’ homes as much exposure as possible. I focus on reaching the right buyers…the buyers who will love the home and make an offer. I understand that community is a big deal. I share information about what it is like to live in an area and what businesses are nearby. I help buyers understand why the location of each particular house will make their lives better. I treat my clients as a partner in the entire process. We’re in it together from start to finish. I sell homes in St. Louis. I connect buyers with the best buyer’s agents in town who believe what I believe. I work with sellers who need to get their home sold and want to work with someone who till tell them the truth, then get results for them. I also connect buyers and sellers in other cities with agents who will take as good care of them as I would myself. Do you know anyone who is ready to buy or sell a home? I can help. I haven’t yet put together my Why → How → What statement for Future Expat in a post yet, but I’ve thought a lot about it. My Why has to do with me loving to share information that will help others. I want to encourage my readers to experience things that will give them a richer life and have the tools to do what they want to do. My How are stories and pictures on this blog. It’s giveaways and link parties. Not just to get myself more traffic (which is definitely part of why I do it), but also to give back to others. I’ve written a few product reviews, because I hope that people thinking about buying it stumble on my articles and have more information about if it will be a good fit for them. I share my travel experiences so readers might avoid some of my mistakes and don’t miss the places that inspired me if they end up in the same location. Or maybe my stories will just inspire others to get out and find their own hidden gems. My What is a blog that offers information and advertising. It’s a place where you can come back again and again to be inspired and discover some sponsored products that may be a good fit for you. For advertisers who have a product to sell, I offer them a way to get in front of you. Do you have a product that might interest my readers? My ad spaces are cheap now as I’m just get started with advertising. Let’s talk. If you write a post about it, please come back and share the link in the comments so I can read how Simon Sinek’s video and my thoughts inspired you.